A story of enduring love and hope amidst the bleakest of circumstances as fate cruelly tests the love of Tatiana and Alexander. It moved me to tears and consumed me heart and soul. There just isn’t a more beautiful love story. Once again. Big, fat, ugly tears. This story has gripped me so completely, heart and soul. I am not a huge crier, although I’m definitely an emotional reader, but these books have turned me into a crying mess, so deeply connected to the characters that the line between reality and fiction blurs. The horrifying experiences they go through, the painful longing for each other and all those times when they felt like giving up hope, it totally gutted me, tore my heart open and had me shedding tears. This book was just as amazing as the first, but a bit different because much of the book, they spent apart. 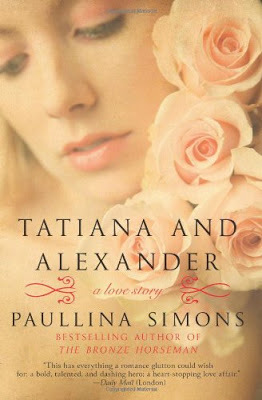 The story unfolds through alternating past and present POVs, both through Tatiana’s and Alexander’s eyes. It’s done seamlessly and in a way that offers a deeper understanding of everything that’s transpired and of what they are each going through individually. It’s incredibly powerful and eye-opening. In this book, we learn so much more about Alexander’s past, his parents and his experiences as a child moving into the Soviet Union. His grit, prowess and intelligence is apparent early on as he endures constant change and tribulations from a young age, carrying the burdens of his parent’s choices. Understanding his past helped me better understand the man Alexander was now. And now, Alexander is a prisoner, accused of treason, forced to live an existence without Tatiana, where he is constantly beaten down mentally and physically. Reading about Alexander’s journey here and what happens to him after is distressing and horrifying. I felt his pain, as he worked so hard to survive, to have courage, to remain stolid in his beliefs and in his love for Tatiana. But naturally, as days turned into weeks and months turned into years, his once unwavering hope began to falter as insecurities began to take over. Would he make it out alive? Would he be the man he was? Would he see Tatiana again? Would she be waiting for him as she had promised? 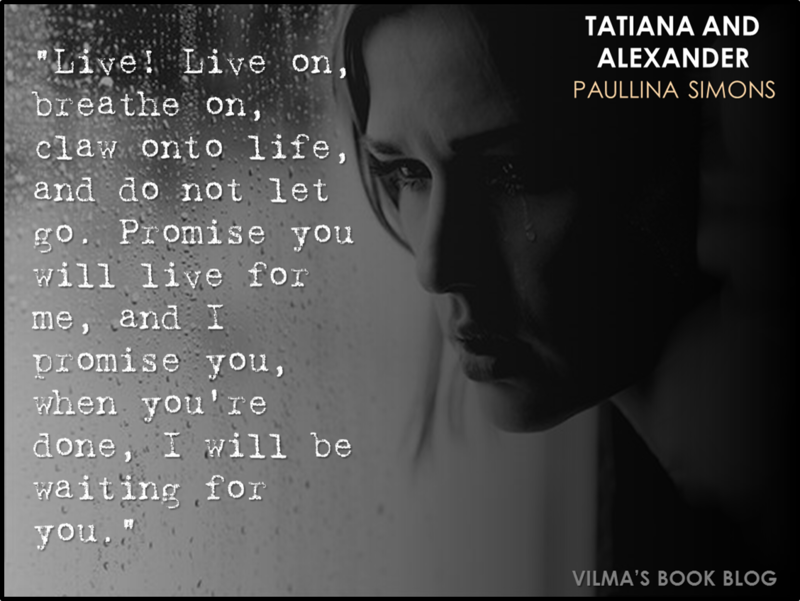 Meanwhile, Tatiana endures, establishing a half-life for herself and her child, caught between the responsibilities of her present and her past, including her undying love for Alexander. She’s unable to let go of him, despite not knowing whether he’s alive or dead, her heart just doesn’t function without its soul mate. The longing, the yearning, the unabated desire they feel for each other is ardent and alive despite their circumstances. It is absolutely painful to read. Their sadness consumed me and it was during many of these times that I felt crushed by their story. Life just didn’t seem to give them a break. But again, this is the most amazing love story ever, and it was so inspiring to see how deeply, how completely they loved each other. It was more than a feeling though, they were simply not complete without the other. This story is one of survival, hope and love. They must both survive their situations to be with each other again, as hope wavers, vacillating between the fortifying dream of seeing each other again and the looming threat of death and consuming hopelessness. Their enduring love is everything. Thoughts of Larezevo and benches and ice cream and white dresses with red roses… it’s everything they grasp to keep going, keep loving, keep hope alive. There is truly no other series like this one, even as I write this review, with a lump in my throat, I marvel at the way the brilliant writing and this story of true love has affected me so much. It’s beautiful. It’s perfection. And it’s absolutely unforgettable.